Thousands of members of the Church of Almighty God (CAG) have been incarcerated in China, following a further crackdown on unauthorized religious organizations. According to the rough statistics, more than 300,000 members of CAG were incarcerated and detained in China from the beginning of the persecutions in the 1990s to 2017. Many have been tortured and at least 30 died in custody in suspicious circumstances, according to a report just released by CAG and published by several human rights organizations internationally (see e.g. here). In the last few days, we have seen unprecedented media attacks against CAG published simultaneously in Korea, Hong Kong, and Taiwan, which seem to be an answer to the publication of this report. The Church of Almighty God (CAG) is a new religious movement founded in China in 1991. It teaches that Jesus has returned to the Earth and incarnated as the Almighty God in a living person and is with us today. It also claims that prophecies in the Bible predict the fall of the Chinese Communist regime in China, although it does not advocate any form of armed rebellion. For this reason, CAG, credited by Chinese official sources with a membership of at least three million, has been persecuted massively since at least 1995. The Chinese regime later started accusing CAG of various crimes, including causing riots based on a prediction that the world would end in 2012 and murdering a woman in a McDonald’s diner in Zhaoyuan in 2014. The recent media campaign repeats these accusations, although scholarly studies have debunked them as egregious examples of fake news spread to discredit CAG. In fact, the group responsible for the 2014 murder used the name “Almighty God,” but was not part of CAG and had different religious beliefs. Even studies hostile to CAG have concluded that, although some CAG believers expected the end of the world for 2012, this was not sanctioned by the leaders, was not part of CAG’s teachings, and did not lead to any riots. The campaign also argues that CAG is regarded as a “heresy” by some Christian churches. Trading accusations of heresy is part and parcel of a century-old pattern of religious controversy, but has nothing to do with the religious liberty democratic countries recognize to all religions, irrespective of their “orthodoxy.” It is also repeated that CAG is a “cult,” a discredited word no longer used by mainline Western scholars and used by the Chinese regime to justify gross violations of religious freedom. The fact that several articles against CAG appeared at the same time in different countries cannot be a coincidence. 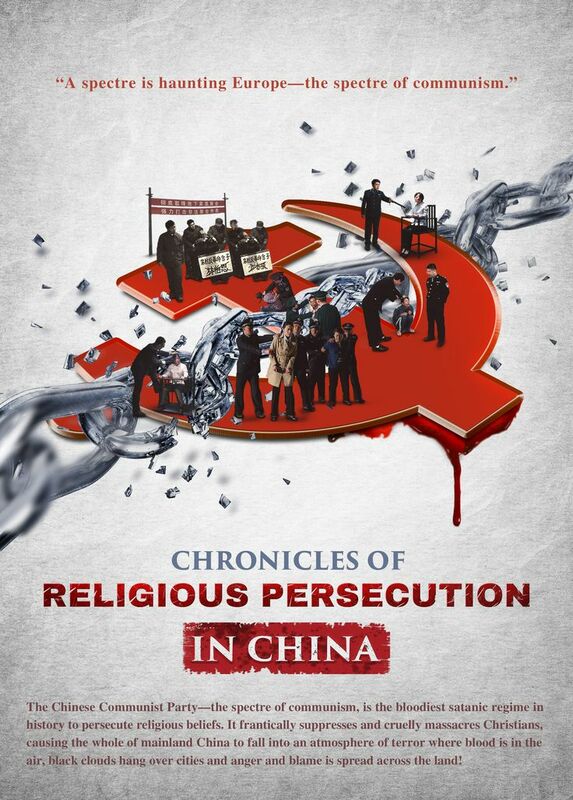 It is part of an effort by the Chinese regime to hide the fact that it violates the provisions of international conventions on religious liberty it has subscribed, something for which it keeps being condemned by international organizations. The members of CAG who live abroad deserve the sympathy of their host countries. Their refugee status should be recognized, since merely being a CAG member or being found in possession of CAG literature is regarded in China as reason enough to be arrested or worse. We also urge responsible media to consult the available scholarly literature on CAG, rather than merely repeating the fake news spread by the Chinese regime. This entry was posted in China, FoRB Violations, Kidnapping, Religious Discrimination, Religious Intolerance, religious persecution, Torture and tagged China, Church of Almighty God, Religious Freedom, Torture. Bookmark the permalink. 3 Responses to Joint Statement: Stop FoRB violations against minority religion in China and East Asia!